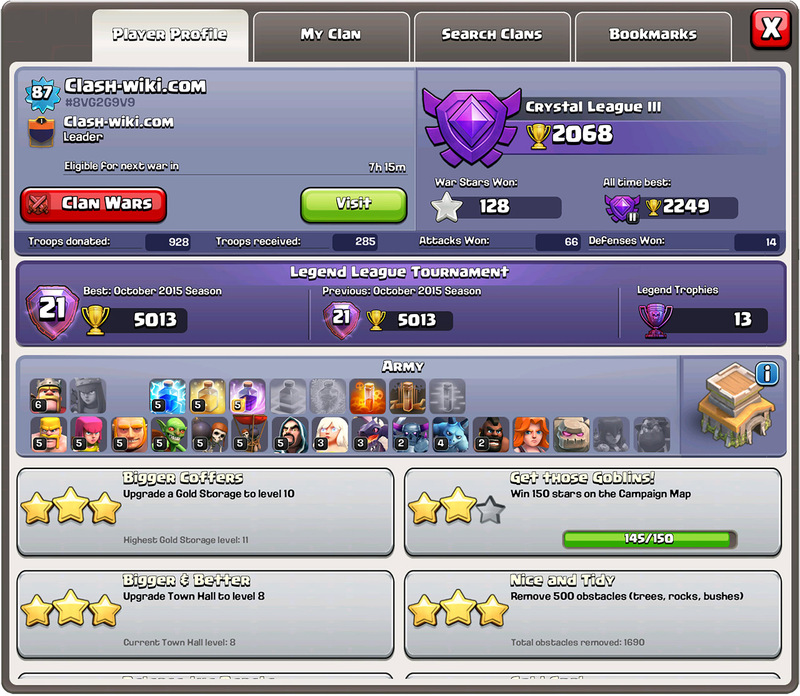 The Player Profile is including all of your Progress indicators in the Clash of Clans game. The Player Profile is a summary of a player’s information available to all players. It certainly is the best way to figure out if the player is a good clan recruit or not. To view the Player Profile, you simply click on a Player Name and choose the option. To view your own profile click the button right next to your Experience bar. The number of Level you are is determined on how much Experience you gain. The number of XP needed is determined by which level you currently are. For example, the number of Experience needed increases by 50 every time you level up. That is until you reach level 200 , then the number increases by 500 each time you level up. From level 301 you will need 1000 Experience more every next level. Also pretty simple. Your name is determined when you first start the game and the tutorial. For awhile you were stuck with that one username you chose, but in the Air Sweeper update the player is allowed to change their name once more after they reach Town Hall level 5. Make sure if you decide to change your name you think long and hard, because there is no third chance! Each player tag is unique, it is an eight digit code that is unique to your player only. Similar to a clan tag. Clans. Gotta love them. Clans are very useful in many ways. The members can fill up your Clan Castle for defensive or offensive use. Being in a clan allows you to participate in the Clan Wars, which are a fun way to help out your clan and gain resources. However you may only be in one clan at a time so choose a clan you will have fun in. You can leave the clan at any time and choose another clan. However if you want to possibly go back to a certain clan but might not remember the clan name, you can Bookmark the clan, which will save that clans info on your game. Your Clan Rank is determined by the leader and co-leaders of the clan. The official ranks in a clan are Leader, Co-leader, Elder, and Member. Having a rank is a privilege, so if you are given one be thankful and remember you are being looked up to by the members. Remember if you promote someone, most of the time you are able to demote them in case they break the rules or anything like that. The clan level can be determined by the small number seen at the top of the Clan Badge. You can level up by earning Clan XP Points through winning Clan Wars. You can see the time in which the player will be eligible for next war under the Current Clan information. This can only be seen if the player is in a Clan War. The maximum displayed time here is 2 days (48 hours). 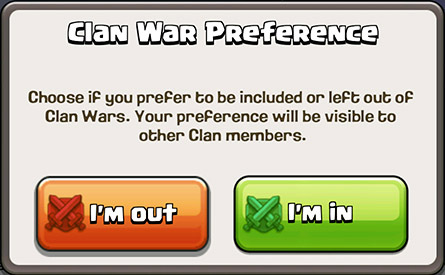 The clan war preference is something that allows you to choose whether or not you want to participate in a Clan War. You can choose to opt out or opt in on the current clan war. However keep in mind the leader of the clan can still choose for you to participate in the Clan War, you just use the clan war preference to let the leader know what you want. Appears if the player is not in any clan. With it You can invite player to your clan (if Your role of Elder or higher). 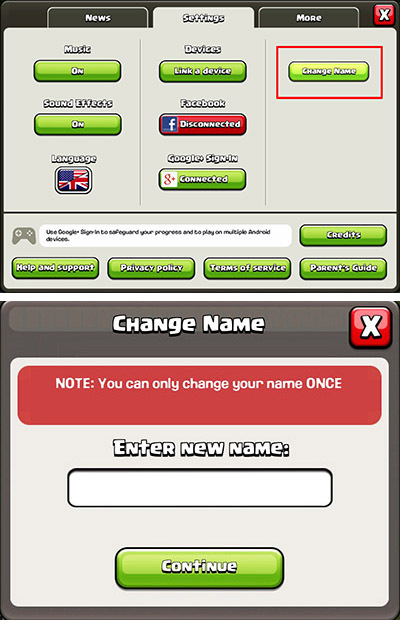 In this case, the player can join Your clan even if he is not formally passes the minimum entry requirements (for example, he does not have enough Trophies). Easy way to see someones base from viewing their Player Profile. Trophy Leagues are a very important part of Clash of Clans. They are determined by how many trophies you have. They help with how many extra resources you gain after raiding a base. Also, people who raid you are mostly in your own trophy league so if you have a weak base, keep your trophy count low and your trophy league low with it. Just like above, Trophies are important. Different types of players choose to stay low in trophy count, or high in trophy count. Depending on your base and preference, you should choose a trophy count that fits you. There are a few strategy guides here that help you determine where your trophy count should be. A number of how many stars you have won during all Clans Wars you participated in. Your all time best Trophy count and best ever League. This is your in game record. Same thing as the other stuff above, just a number of how many troops you have donated. Try to keep this number the same/higher than your “troops received” number. It shows you are very helpful and caring. Helps people know if you ask for troops, but give none in return. Again try to keep this number the same/lower than your “troops donated” number. Just a number of how many attacks you have won during the current season. Some clan leaders look for this when accepting people to their clan so keep your attacks won number high! Just a number of how many defenses you have won during the current season. Some clan leaders also look for this when accepting people to their clan so keep your defuses won number high! Shows what Troops you have unlocked and what level they are. Also shows your Spells and what level they are. Once on the tab “Player Profile” you will see the pop-up on the right side of this page starting in View #1 (League Info). To get to View #2 (Village View) click the button next to the Town Hall and it will show your the base. 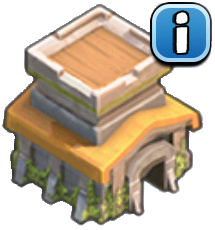 Your Town Hall level can be very important to many people, including yourself and clan members/leaders. Your Town Hall can show if you have rushed, which means you upgraded your Town Hall before upgrading the defenses and other buildings to their max level for that Town Hall. Leaders also sometimes look for your Town Hall level to see how well you spend your resources, which also ties into rushing your Town Hall. Note that the Town Hall image will be set to whatever Town Hall you currently have. A long list of your Achievements completed. Clan leaders also look for this when accepting people to their clan because some achievements show how many resources you have grabbed during raids, showing if you a good raider. Notes: Information marked with an asterisk (*) is reset at the end of every season. Information marked with two asterisks (**) is reset at the end of every season and whenever a player leaves their clan.